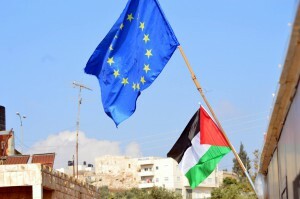 The EU, with its Member States, is Israel’s largest trading partner and the biggest donor to the Palestinian Authority and the Palestinians. Moreover, both parties have privileged economic and political relations in the framework of their respective Association Agreements with the EU. With their integration in the European Neighborhood Policy, the level of ambition of these relationships depends on the extent to which common values (incl. democracy and human rights, rule of law, good governance) are shared. ACT Alliance EU advocates for the EU to condition any progress of its bilateral relations with Israel on improved compliance with IHL and IHRL in the occupied territory and for the EU to ensure respect for international law in its contractual relations with the parties to the conflict.